There are good contractors and there are well.... Those that under bid. In a public bid environment, you may have already been forced to award your project to a sub-par contractor. 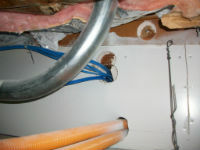 Let Information Technology Solutions help you project manage them and ensure that code violations like this don't occur!